Fresh Air Weekend: Billy Crystal And Graham Nash Crystal isn't happy about turning 65, but at least he's finding a way to laugh about it. His new book is called Still Foolin' 'Em: Where I've Been, Where I'm Going, and Where the Hell Are My Keys? And British singer-songwriter Graham Nash has written new memoir Wild Tales: A Rock & Roll Life. 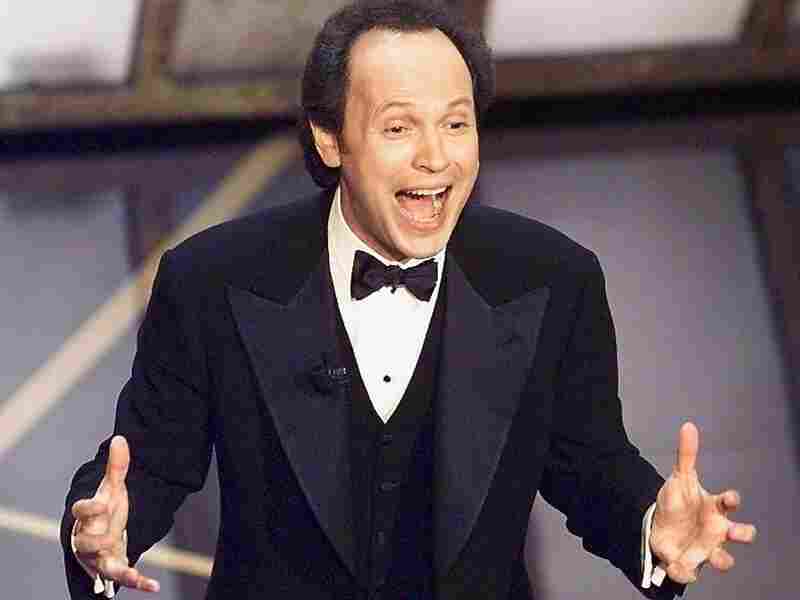 Billy Crystal has hosted the Academy Awards more times than anyone except Bob Hope. "I love doing it because I love the danger of it," Crystal says. "You have to come through and think on your feet." Billy Crystal Finds Fun In Growing Old (But Still Can't Find His Keys): Crystal isn't happy about turning 65, but at least he's finding a way to laugh about it. The actor and comedian's new memoir — Still Foolin' 'Em: Where I've Been, Where I'm Going, and Where the Hell Are My Keys? — is on the bestseller list and he'll be back on Broadway in November. Graham Nash Has 'Wild Tales' To Spare: As part of Crosby, Stills & Nash, the British singer-songwriter helped define a West Coast sound. Here, he discusses the influence of Buddy Holly, The Everly Brothers and marijuana on his career, as well as his new memoir, Wild Tales: A Rock & Roll Life.